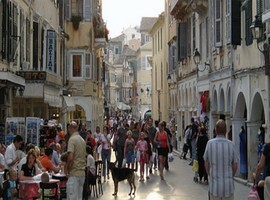 Vacationers go to Corfu since 1940, and indeed, Corfu is one of the most popular Greek islands. 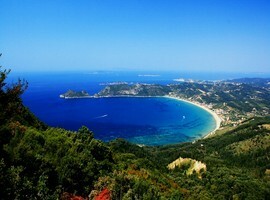 The green of nature and beautiful surroundings are excellent and the island of Corfu is ideal for exploring and driving. Many there people live from tourism, but agriculture is also an important source of income. 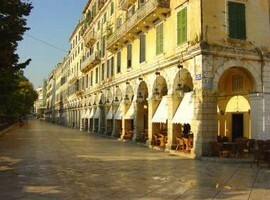 Corfu’s architecture has been influenced mostly by Italy. The Austrian Empress Elisabeth had a palace here, the famous Achillion, which was later bought by German Emperor William B. Today, the palace has been transformed into a casino and hotel. 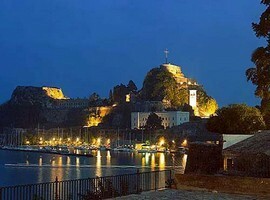 Many international stars and public figures spend their holidays in Corfu and many foreign and Greek films have been made there. 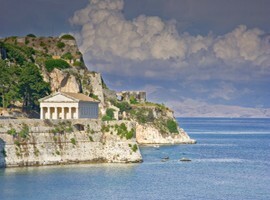 One of the international productions shot in Corfu was the James Bond film “For Your Eyes Only.” The celebration of Easter here is a little different than the rest of Greece; Corfu has the custom of breaking pottery, pots, jugs and dishes on Great Friday. Be careful if you’re there because people throw pots from their balconies. The Citadel at the port was made by the Venetians. The palace city built by the British and the French built there a copy of the Rivoli Street in Paris. 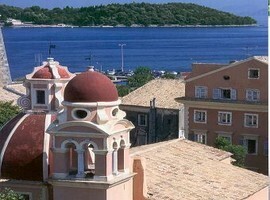 Thus, the island has the typical European style. 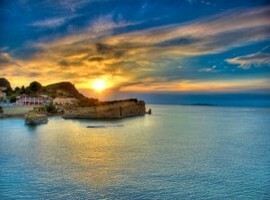 In order to enjoy the beauty of the island will have to rent a car and go to some of the villages and isolated beaches. For example, you should visit Sidari, Acharavi, Dassia, Ypso, the channel of love, the fishing villages Benitses, Moraitika etc… If you want a taste of the cosmopolitan side of the island you can visit the most popular Esplanade Square in town for a coffee or a drink. 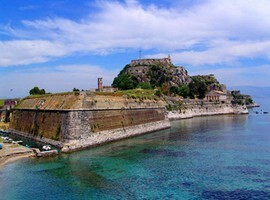 It is worth visiting the old and the new castle and the church of St. Spyridon with the tallest tower on the island. Other sights are the Palace of St. Michael and St. George and the church of Blachernae at Cannon. 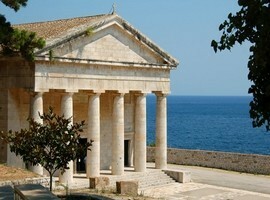 There is a museum that you should definitely visit if you’re interested in ancient history. Just outside town is Pontikonisi, which is not only beautiful but also has a church dedicated to Madonna of the 13th century. 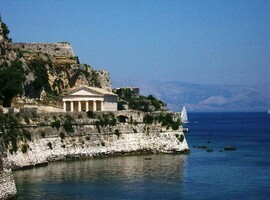 Pontikonisi is perhaps the most photographed area in Corfu. 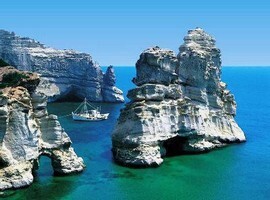 A 13th century monastery is built on a rock at the most popular beach, Paleokastritsa, which has a huge whale’s bones. Water sports are available at many beaches as well as diving and cycling. You can also go horse riding in Ermones and Sidari. In Sidari there are also some very nice places for a walk, there is also an 18-hole golf course. Watch cricket matches or test your luck at the casino. Around the island, especially in larger hotels there are tennis courts. For the young there is Waterland in Gouvia. There are many beaches on the island, but all are out of town. 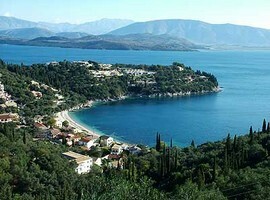 The best known is the beach of Paleokastritsa. According to legend, Odysseus was washed here. 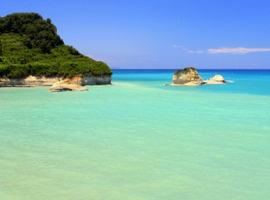 Some more options are the beach in Sidari and Kavos Ermones. The beach of Agios Georgios is very large (3 km) and great for watersports and ideal for families with children. 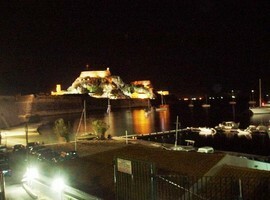 The busiest areas are Mantouki also called the zone of disco and the capital of Corfu. You will find bars and clubs in all the crowded resorts. In town there are all kinds of nightclubs and entertainment venues with live music. 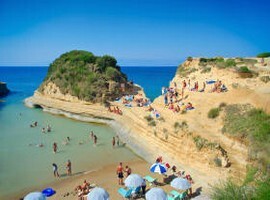 Corfu has its own airport, with daily flights to Athens. 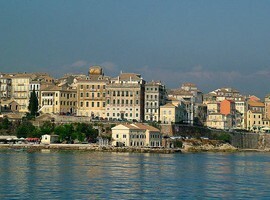 Ferries and hydrofoils go between Corfu and Igoumenitsa daily, and the boat trip takes about 1 ½ hours. 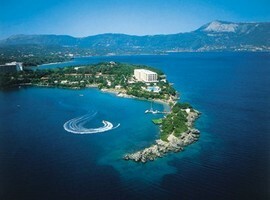 You can also get here by ferry from Patras. Several times a day, there are ferries to Italy as well.